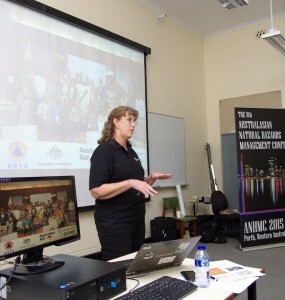 InaSAFE had a presence at the 8th Australasian Natural Hazards Management Conference which was held in Perth, Australia from 13 – 15th October, 2015. 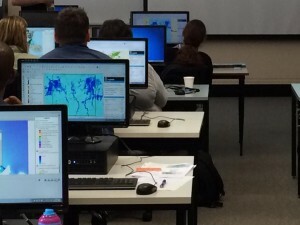 InaSAFE featured in Workshop 5: Disaster impact and risk mapping and modelling tools. Here is our photo essay of the event! Telling the InaSAFE story, a story of partnership and collaboration. — at The University of Western Australia. 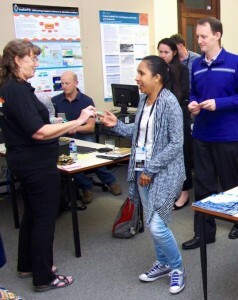 Handing out fridge magnets to participants. — at The University of Western Australia. Participants trying out the Jakarta flood scenario. — at The University of Western Australia. 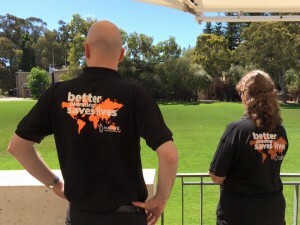 Trainers relaxing after the workshop at the University of Western Australia — at The University of Western Australia. 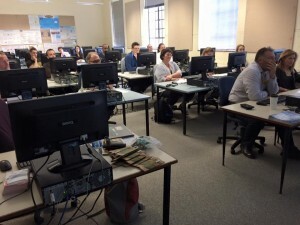 Attentive workshop participants — at The University of Western Australia. 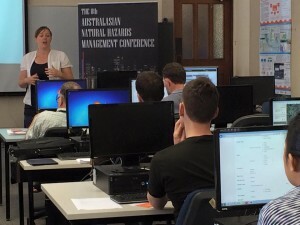 Kate Crowley from NIWA presents RiskScape in a joint workshop on risk mapping and modelling tools. — at The University of Western Australia.